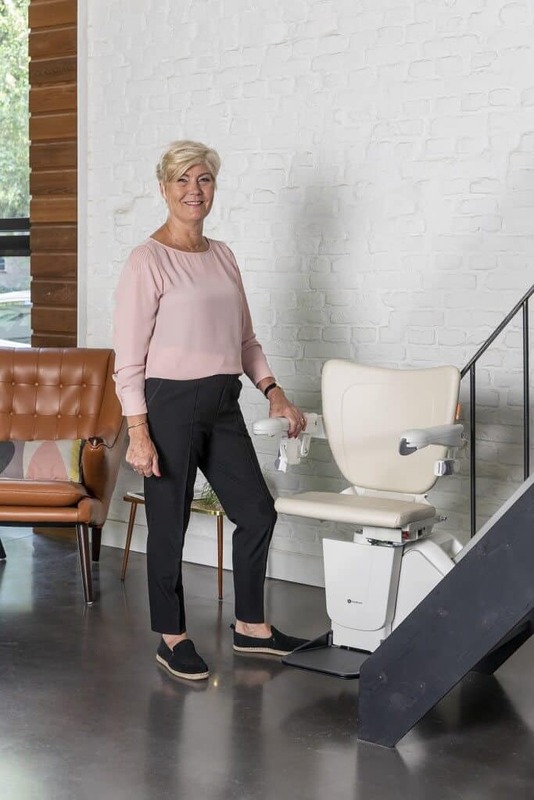 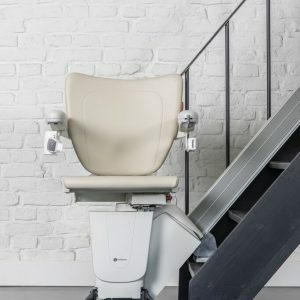 The New Handicare Advantage + Straight, This is a ground breaking Straight Stairlift to Multicare. 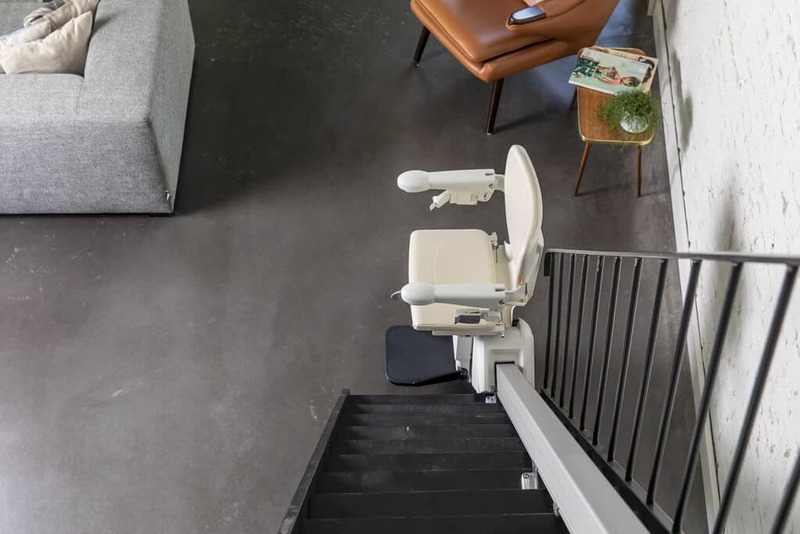 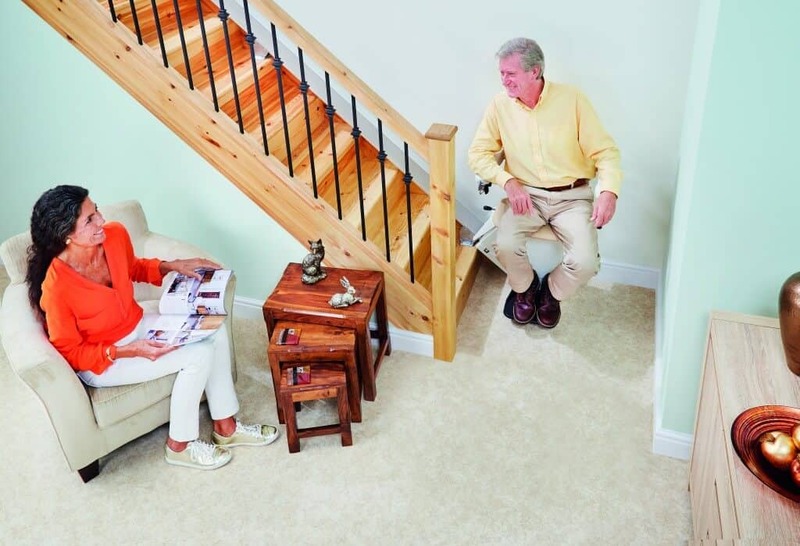 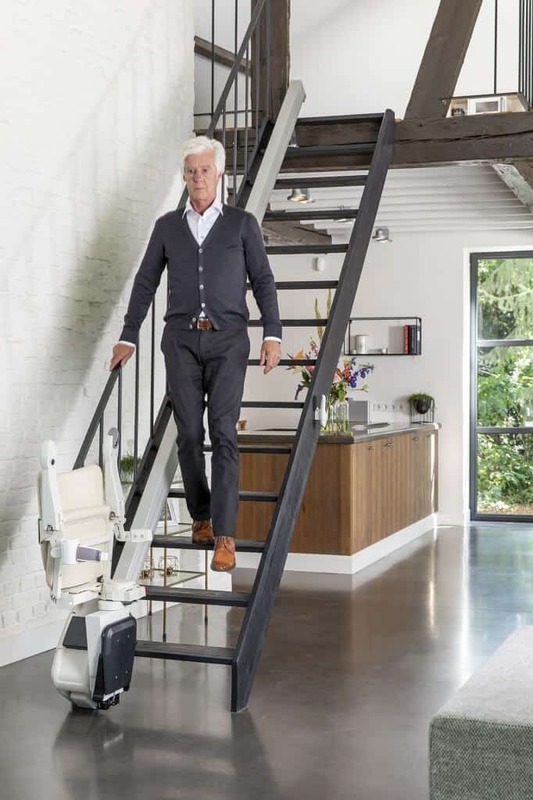 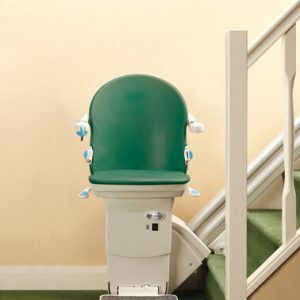 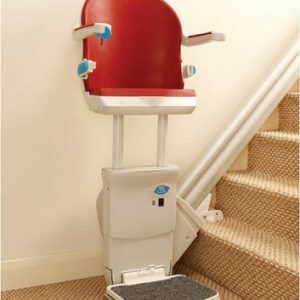 The stair lift which is powered by Four friction Motors, there is no toothtrack racking on the track and requires no oil or grease. 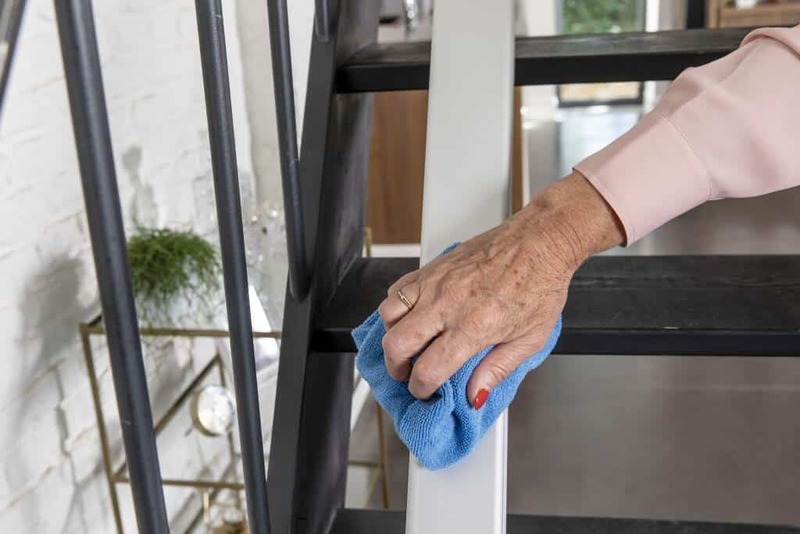 The clean rails means there is no dirt to worry about. 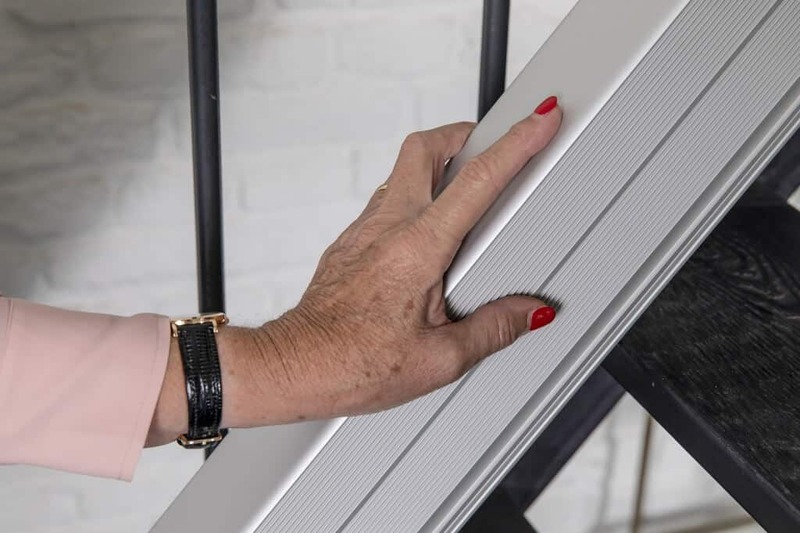 It is safe to touch and ideal when children are around your home. 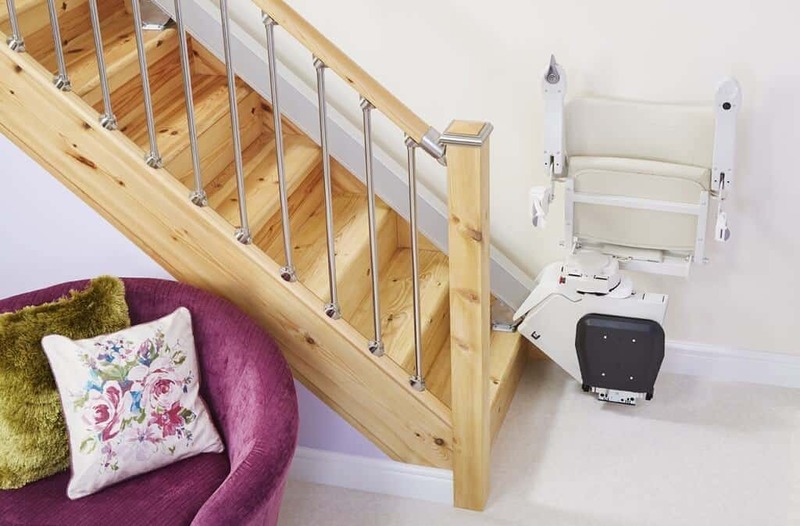 The Handicare Advantage+ Multi Drive also features the slimmest stairlift rail on the market, great for narrow staircases. 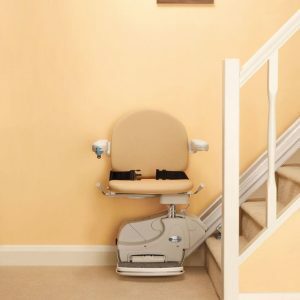 The plus model also comes with the option of a powered swivel seat allowing easy exit at the top of the stairs. 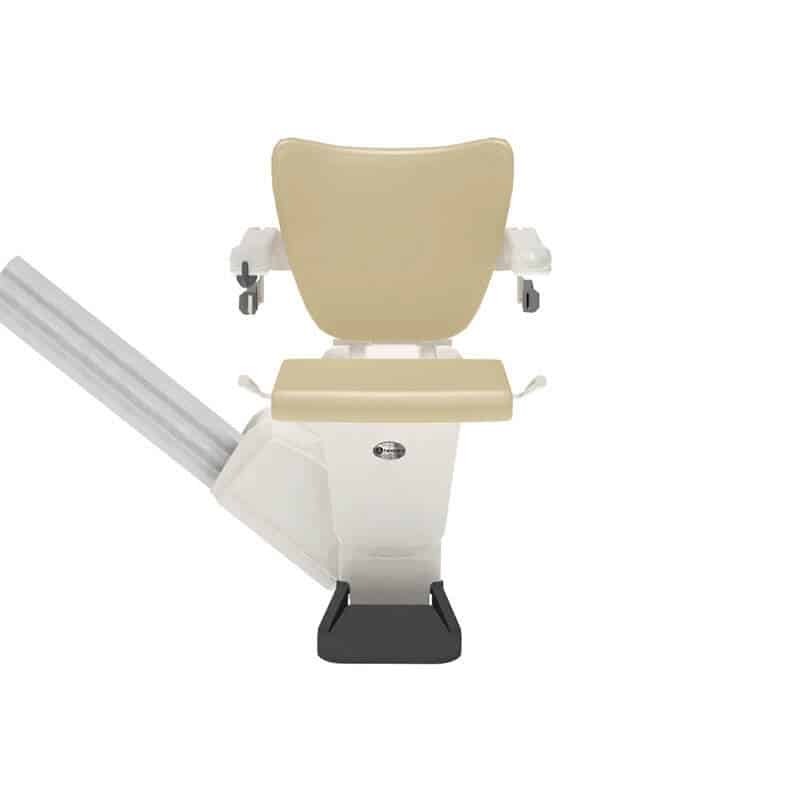 Power footrest option is also available by pressing a button the footrest lowers great for users with limited mobility. 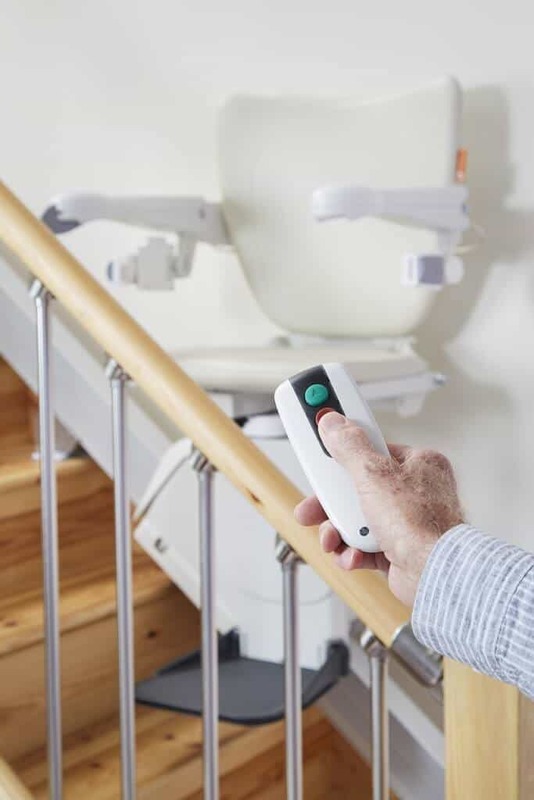 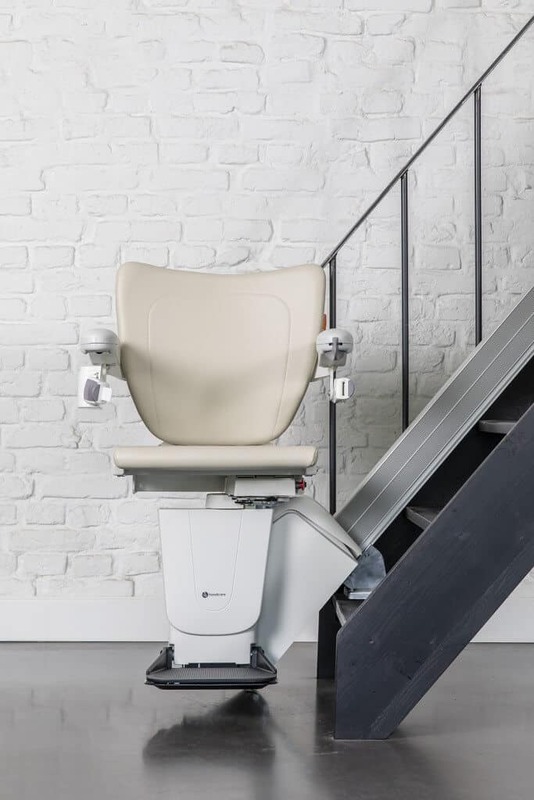 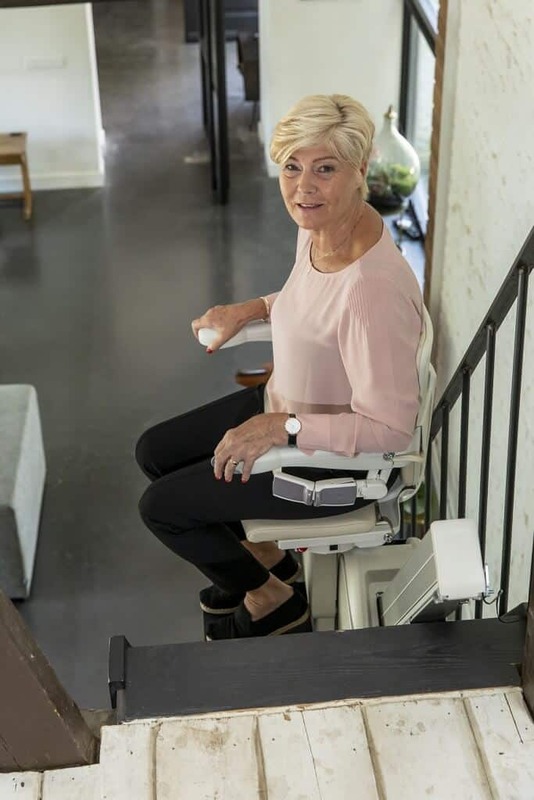 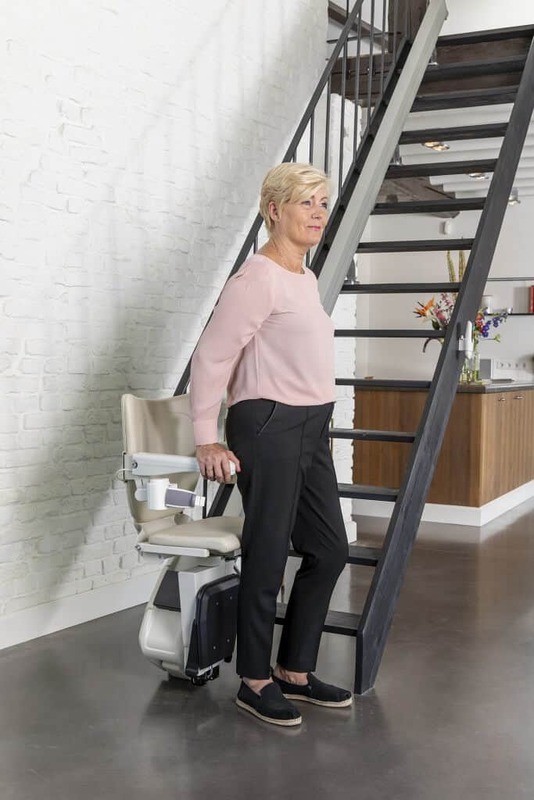 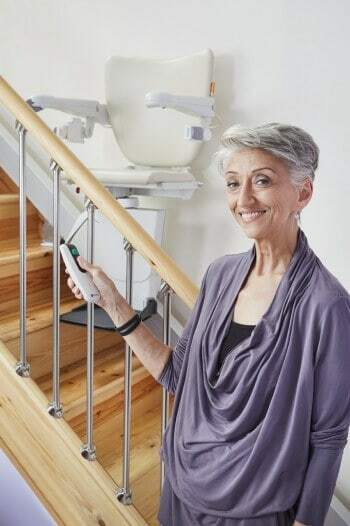 The Advantage Multi Drive Stair Lift has a full charge strip and is always on charge so the lift can be left anywhere along the track charging the batteries.